The rehabilitation & resettlement (R&R) site for the 4,000 Mw ultra mega power project (UMPP) being set up near Bhedabahal village in Sundargarh district is expected to be finalised soon. The district administration has sought the consensus of the project affected persons on the proposed site identified along the Ib river. Non-finalisation of bidding terms by the central power ministry has delayed the implementation of the UMPP. 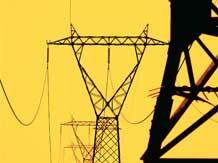 In December last year, the Union power ministry decided to cancel the bidding process for Odisha and Tamil Nadu UMPPs. The bidding process was initiated in 2012. The ministry instead, decided to have a re-look at the standard bidding documents and constituted a committee for the purpose. The power ministry's decision to revise the standard bidding documents stemmed from the pull out of the private players from the bidding process. At the Request for Proposal (RFP) stage for Odisha UMPP, there were nine players out of which five qualified for RFQ (Request for Qualification) stage- NTPC, NHPC, Adani, Sterlite Energy and GMR Energy. Later, the three private entities withdrew from the bidding process leaving only the central PSUs. Private players, in prior communications with the ministry of power, had raised concerns on the design, build, finance, operate, and transfer (DBFOT) model for the UMPP. They argued that under the DBFOT model, the risk was not apportioned equitably as all losses go to the power producer while gains went to the procurer. Power Finance Corporation (PFC), the nodal agency for UMPPs, has formed a special purpose vehicle - Odisha Integrated Power Ltd (OIPL) for facilitating the project execution. The Bhedabahal UMPP needs 3,246 acres land in all that includes 2,733 acres private land, 444 acres government land and the rest 69 acres revenue forest land. Total cost of procuring land has been worked out at Rs 718 crore. Compensation of up to 91 per cent has been disbursed to the affected families. In addition to the compensation amount, the state's land acquisition agency Odisha Industrial Infrastructure Development Corporation (Idco), has raised an additional demand of Rs 145 crore towards revised estimated cost and its administrative charges. Nearly Rs 120 crore has been collected from states listed as beneficiaries of the UMPP. Meenakshi, Meenakshi-B and dip side of Meenakshi coal blocks have been allocated for the 4,000 Mw plant. The annual requirement of fuel for the UMPP has been estimated at 19-20 million tonne of coal. Central PSU Mineral Exploration Corporation Ltd (MECL) has been assigned the job of carrying out detailed exploration of the coal blocks and also preparation of the geological report.